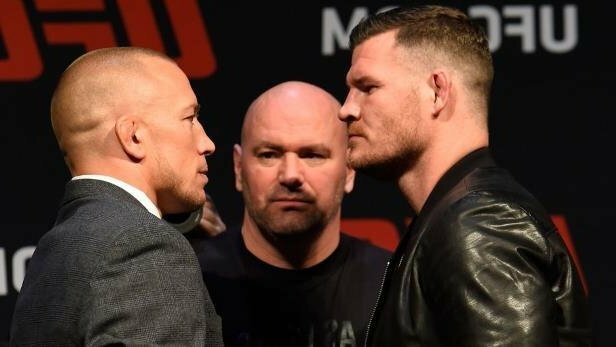 In the main event of the evening, former dominant welterweight champion Georges St-Pierre will attempt to turn the clock back with a performance worthy of taking Michael Bisping’s UFC middleweight title. Hendricks claims to have experienced something of a ‘rebirth’ since moving under the tutelage of Jackson-Wink, yet it appears his best days are behind him. Taking just one win in his last five, don’t be surprised if this fight is the last we see of “Big Rigg”. Borrachinha, 10-0, looked massively impressive in his last outing against Oluwale Bamgbose at UFC 212 and truly has the momentum going into this bout. “Wonderboy” has shown just how tough he is and will be too smart and shrewd for the gritty and dogged Masvidal. An underwhelming last outing against Tyron Woodley will have many observers underestimating Thompson but he may be set to pull out a big performance on Saturday night. If Thompson can maintain his composure, fight from the outside and avoid the big shots from “Gamebred” and fight his fight, he will win. Masvidal is undoubtedly capable of connecting and ending the fight early but he will find it very hard to find range against the smart and astute Thompson. Namujanus’ submission of Michelle Waterson was seemingly enough to land her this title shot. Can she beat Jedrzejczyk? Absolutely. Will she? I don’t think so. As Fernando pointed out, a win for Joanna will see her tie Ronda Rousey’s record for most (women’s) UFC title defenses and she has been nothing short of absolutely dominant at strawweight. Namujanus’ best hope is to catch Jedrzejczyk early and can conceivably land an early takedown and attempt to stamp her mark in the first round. “Thug Rose” is close to the champ size and reach wise and is certainly tough enough. Jedrzejczyk, however, is a class act and highly technical operator who will wear the challenger down and impose her dominance in the championship rounds. One of the best fights to be made in MMA. The former teammates at Team Alpha Male share one of the most bitter rivalries in the sport. Dillashaw, the former bantamweight champion, is one of the most gifted fighters in the division and looked unstoppable prior to losing his title to all-time great Dominick Cruz by way of split decision in January 2016. His last two performances, unanimous decision wins over Rafael Assunção and John Lineker, show just how good he can be. Garbrandt shocked the world at UFC 207 in December 2016, not just for beating Dominick Cruz, but how he did it. “No Love”, contrary to his hot-headed demeanor outside of the octagon, was calm, precise and technically superior against a man many believe to be the greatest 135-pounder of all time. Garbrandt’s genuine hatred for Dillashaw may be his undoing here and unless he can overcome the early taunts and in-fight trash talk from Dillashaw, he may walk into a trap here. Garbrandt’s back troubles and 11-month absence from the cage may also work against him. Georges St-Pierre is a legend of the sport and a true athlete. Despite his 4 year absence from MMA, he has maintained a healthy life and kept himself in shape. Coach Firas Zahabi recently claimed that GSP’s lifestyle over the last four years will ensure that he will not enter the cage as a jaded version of himself and many will expect him to be in great shape come Saturday night. Wil that be enough against the bigger man in Bisping? The Brit is big for a middleweight and was 14-0 at light heavyweight before dropping down to middleweight following a contestable defeat to Rashad Evans. St-Pierre, of course, fought his career at welterweight and it is the combination of fighting at a heavier weight and his four-year absence which are the obvious worries. Can he take Bisping down and smother him? That seems to be the expectation from many observers. I doubt that he can keep up with Bisping’s proven stamina and durability, however, and may even find himself at the end of some big shots trying to work himself into the inside. Bisping’s fight IQ is underrated and I feel that he will be able to figure out St-Pierre early and keep him at bay before finishing him with a flurry of shots in the championship rounds.